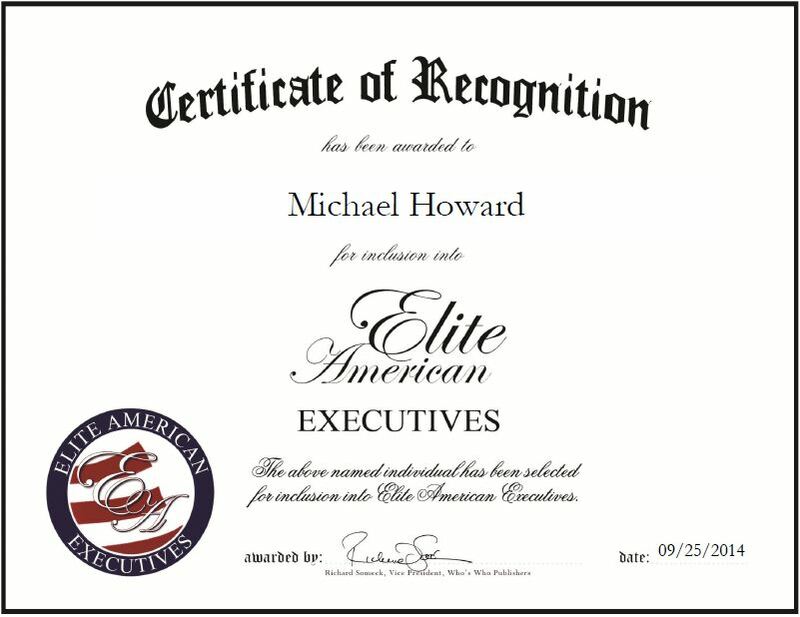 Richmond, VA, September 25, 2014, Michael Howard, Director of Content Operations and Product Delivery for LexisNexis, has been recognized by Elite American Executives for dedication, achievements and leadership in process improvement. Mr. Howard has been with LexisNexis for 18 years and has 30 years in the legal content publishing business with a focus on production operations, editorial and quality. He is experienced in launching vendor engagements and managing vendor relationships, and is also well versed in managing the user testing and validations for new production platforms and systems for online and digital content delivery. Mr. Howard is an integral member of LexisNexis’s staff and handles a myriad of responsibilities in order to ensure the company’s success. In his role, he is tasked with analyzing department performance measurements to illustrate trends and patterns for planning and forecasting, facilitating the reengineering of editorial processes and tools to support best practices, operational efficiencies and company-wide initiatives, undertaking strategic and tactical management of online and print production and content in order to meet or exceed product revenue goals, managing and developing staff, and developing succession plans to ensure successful change for his staff of 55. He started his career in legal publishing by working with a company, Michie, which edited content value added connotations and commentary, as well as proofread statutory laws. Michie was acquired by LexisNexis, which is owned globally by Reed Elsevier PLC. During his tenure with LexisNexis, Mr. Howard has held a variety of positions that involved department and staff management, content delivery, project management, process improvement, establishing quality and business metrics programs, training development and operations, outsourcing and vendor management. Highly accomplished, Mr. Howard is a sought-after professional who is revered by his colleagues and clients. He attributes all the success he has experienced throughout his career to his open-mindedness and his willingness to learn new processes and accept change. This entry was posted in Research and tagged editing, information services, legal publishing, operations management, training development. Bookmark the permalink.